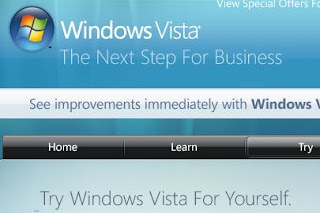 Now you can experience Windows Vista online. No installation required, With a simple click, you can experience Windows Vista Ultimate edition demo online for free. You need Internet explorer to run this online demo. You can experience new interface, Internet Explorer 7, Windows BitLocker drive encryption and many others features. Advanced user can explore features like remote desktop, group policy, account, firewall management etc. Windows Vista Ultimate SP1 - Online Test Drive.